The biggest draw to Boca Raton, Florida, may be the sugary white sand beaches and the gorgeous turquoise Atlantic, but there are plenty of other things to do when visitors have had their fill of fun in the sun. 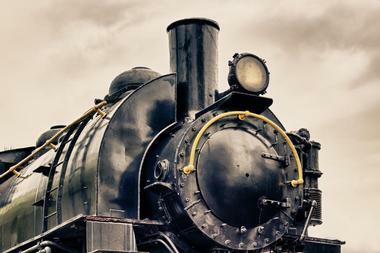 There are many museums for travelers to explore, like the Boca Express Train Museum and the Morikami Museum and Japanese Gardens. Adrenaline junkies will relish opportunities to ride high-speed boats, helicopters, airboats, and Flyboards. 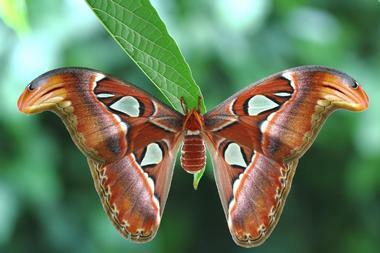 Nature lovers will appreciate Butterfly World and the Daggerwing Nature Center. Nearly all the attractions listed here are family friendly. 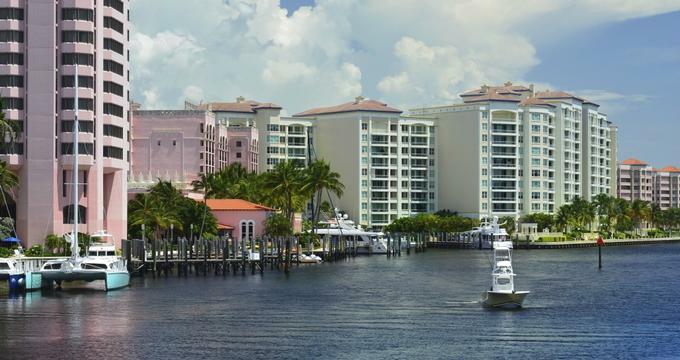 These 20 fun things to do in Boca Raton will add hours of enjoyment to any beach vacation. It’s easy to find the Boca Raton History Museum, visitors just look for its gold dome at Town Hall in downtown Boca Raton. The 1927 museum building is on the National Register of Historic Places, adding its own historical value. Guests can begin their exploration of Boca history on a 40-minute guided tour of Town Hall, which includes a short video telling the architectural story of the building and offering a view of the tax collection vaults. Exhibitions change regularly, but highlight local history. 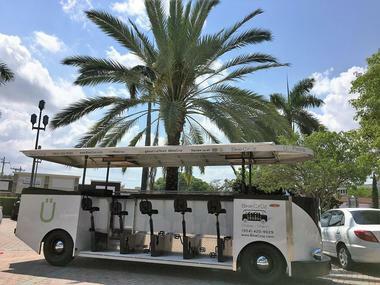 Other history tours from the museum include Boca Raton Resort, the Town Trolley, and the Train Museum. The Boca Express Train Museum is in the historical 1930 FEC train depot at Old Town Hall in downtown Boca Raton. Visitors can begin their tour at the train depot aboard a 1947 Seaboard Air Line rail car. The meticulously restored dining and lounge rail cars are listed on the National Register of Historic Places, offering guests a glimpse into the glamorous era of rail travel. The museum also has a 1930 Baldwin steam switch engine and a 1964 Atlantic Coast Line caboose for visitors’ viewing pleasure. Train tours are available twice monthly. The Fire Bay gift shop is also located at the museum. 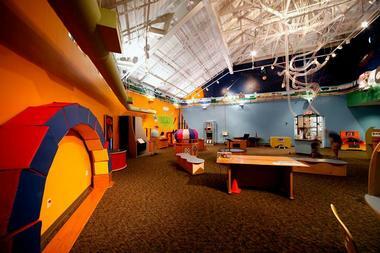 The Boca Raton Children’s Museum offers a host of interactive exhibits to children. The Bank & Post Office exhibit, for example, gives kids an opportunity to do age-appropriate math related to banking using coins, paper money, and checks, while kids at the post office learn to sort and deliver mail. Other interactive exhibits include a puppet theater and storytelling stage, grocery store, science and engineering center, Wanna Be Square (community helper professions), health care center, vet’s office, and water table (locks, dams, and hydroelectricity). Educational play helps kids learn how the world works, engages their imaginations, and encourages them to be change makers. 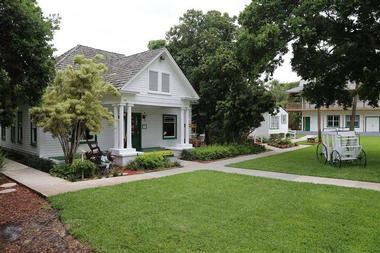 The 44,000-square-foot Boca Raton Museum of Art opened at its present location in Mizner Park in 2001. 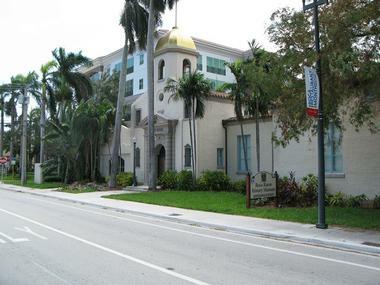 The museum is the leading cultural institution and official fine arts museum of Boca Raton. It receives over 200,000 visitors annually. Visitors can expect a rich collection of exhibitions. Past exhibitions have included Contemporary Photography, Deep Line Drawings of Carlos Luna, Glasstress Boca Raton, Summer Showcase, and many others. The museum’s collections are wide and varied, from the modern and contemporary collection to the Pre-Columbian collection. 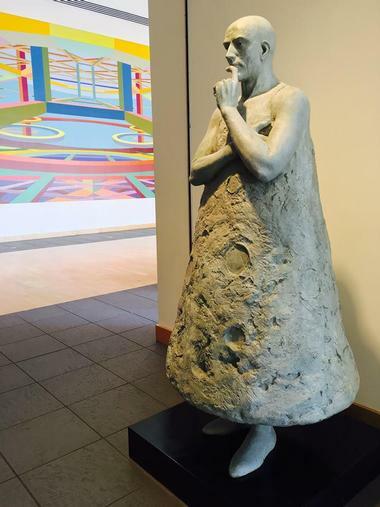 There is also an outdoor sculpture garden, museum store, artists’ guild gallery, and art school. Beginning as a butterfly hobby farm in 1984, Butterfly World has evolved into a 3-acre butterfly aviary and botanical garden, research center, 2-acre tropical bird aviary, interactive lorikeet experience, and aviculture care and research center. Proceeds from Butterfly World support the Boender Endangered Species Laboratory at the University of Florida. Butterfly World has also been important to saving endangered butterflies and bringing them off the endangered species list. Guests can explore Butterfly World on self-guided tours using a site map. Guests can learn about butterfly facts like their average life span and more. After touring the park, visitors can shop for butterfly-related products at the on-site Butterfly World shop. The Children’s Science Explorium offers families with kids aged 5 to 12 the perfect way to spend a few hours. Located in the 132-acre Sugar Sand Park, this hands-on science center provides kids with interactive exhibits where they can learn about physical science. Kids can investigate fascinating science and technology concepts in an array of permanent exhibitions as well as traveling exhibits that the museum brings in for 4 months each during fall and spring. Sensory-Friendly Saturdays are on the first Saturday of the month and offer visitors enhanced sensory experiences at the Explorium. The museum is open every day and admission is free. Families who appreciate the outdoors will love the Daggerwing Nature Center. A 3,000-square-foot exhibit hall features interactive exhibits and live animals, along with a reading center, classrooms, and a laboratory. Visitors can explore the swampy surrounds via two trails of elevated boardwalks with seating and an observation tower. Guests can expect to see lots of plant life and an array of wildlife like woodpeckers, alligators, osprey, endangered wood storks, and the Ruddy Daggerwing butterfly. Nature trails are open to the public from sunrise to sunset, and the nature center is open afternoons Wednesday through Friday and all day on Saturday. Gumbo Limbo Nature Center and Environmental Complex is located on a Boca Raton barrier island. Its purpose is threefold: education, conservation, and research. Visitors will have a plethora of natural experiences here. 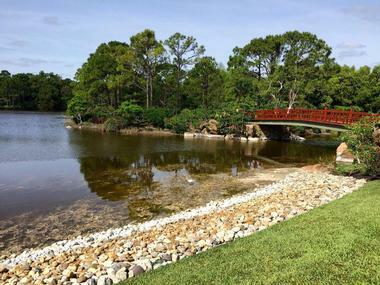 The Ashley Trail provides a relaxing nature walk, the butterfly garden gives guests with a feast for the eyes, and Seminole Chiki offers a serene place to sit overlooking the Intracoastal Waterway, where visitors may spot a manatee or sea turtle. The nature center has a number of informative exhibits for the whole family. Four outdoor salt water aquariums showcase South Florida marine life, and a sea turtle rehabilitation facility offers visitors a peek into turtle conservation efforts. 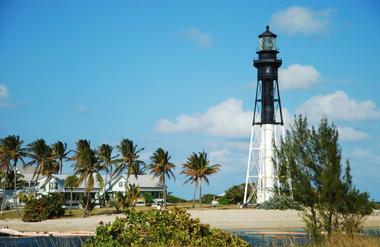 The historic Hillsboro Inlet Lighthouse is a family-friendly attraction for those who love history and seafaring. The lighthouse, completed in 1907, was built in Michigan and made a 4,000-mile journey to the site, with the lens making a trip from Paris, France. Tours begin at the Alsdorf dock, where guests board a boat and head to the lighthouse. The museum is open Sundays, Tuesdays, and Thursdays and offers Saturday and Sunday tour days. The lighthouse is known as Big Diamond, because of the shape of the glass in the lantern room. Climbing to the top of the lighthouse requires closed-toe shoes. The entire tour from dock to lighthouse and back is 1 hour. 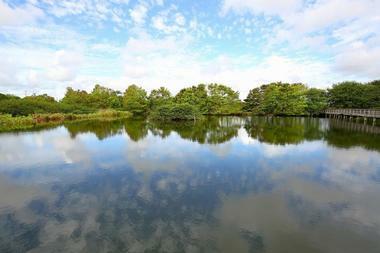 The Morikami Museum and Japanese Gardens memorializes the Yamato Colony of the 1920s. The area was originally settled by Japanese farmers, who eventually moved to other parts of the country. The remaining Japanese families lost their land during World War II when the government seized it to create a military installation. The museum’s mission is to share Japanese culture with a diverse audience. Visitors can expect rotating exhibitions from the museum’s permanent collection. The six Roji-En gardens complement the museum and were inspired by traditional Japanese gardens. Guests will appreciate the tranquil surroundings. The museum hosts numerous cultural events throughout the year. 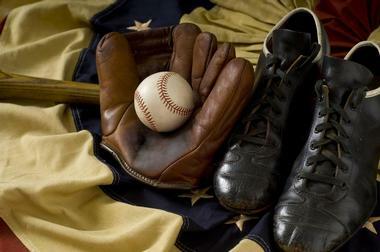 Visitors to the Sports Immortals Museum and Memorabilia Mart have a chance to not only see some of the most significant sports memorabilia of all time, but also to purchase a favorite piece for the right price. A half-million dollars should open up the options. For visitors not ready to buy, looking is a reward in itself. The $250 million collection has over a million pieces, including Chris Evert’s Wimbledon racquet from her second victory there. Mohammed Ali also has an Olympic jacket in the collection. Owner Joel Platt has been collecting for over three-quarters of a century, and museum visitors are the ones lucky enough to see it all. 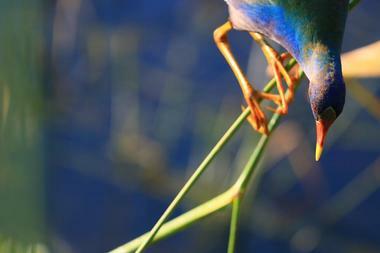 The Wakodahatchee Wetlands sit on 50 acres and feature a three-quarter-mile boardwalk for exploring. Created in 1996, the wetlands give visitors an opportunity to cross open-water ponds and islands to get up close and personal with nature. As part of the Great Florida Birding Trail, the wetlands are home to 178 identified bird species, a treasure for avid birdwatchers. There are also opportunities to see turtles, fish, alligators, frogs, rabbits, and raccoons. These wetlands play an important role in the local water table, as millions of gallons of treated wastewater are here transformed into billions of gallons of freshwater. Thrill seekers will find just what they’re looking for at Palm Beach Hydroflight in Boca Raton. 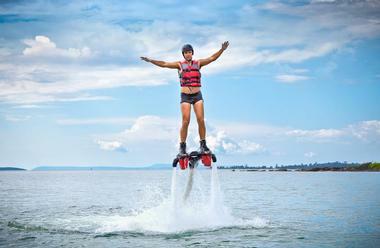 Even those who’ve never tried this exhilarating activity will be up and flying in no time with a water jetpack and the help of the extraordinary instructors. Hydroflight uses two styles of boards, Flyboard and Flydive, both top-of-the-line boards that make learning easy and fun. Experienced flyers will appreciate how responsive the boards are for diving, turning, and having an all-around good time. Guests can choose the 30-minute Hydro Flight, 1-hour Ironman Flight, or a 1-hour flight for two known as the Hijack Flight. Two hydroflight boat excursions are also available for charter. Located on the ground floor of the Cendyn SPACES building, MEAT Eatery and Tap room is an off-shoot of the popular eatery and pub in the Keys. The modern, cozy place, which is lined with bricks and has comfortable seating, is all about meat and plenty of beer to wash it down. They smoke their meats on-site and make sausages in-house. 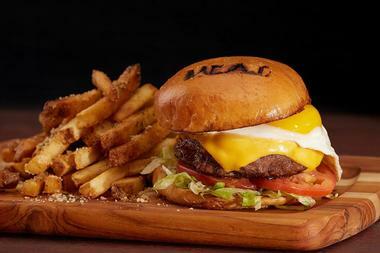 Their burgers and pulled pork sandwiches are award-winning and have been voted the best in the country many times. They have a large range of fun, delicious pub grub, but if you feel like something lighter and healthier, go for their wonderful soups made daily and great seasonal salads. The craft beers on tap change daily, so check the list on the board above the bar. You can also watch the ongoing game on the big screen TV while you are at it. Force-E Dive Center is a retail dive shop that doubles as a diving outfitter. It has been a favorite choice among locals since 1976. Even those who have never had a scuba diving experience can feel confident that they’re able to become PADI Open Water certified with Force-E. Experienced divers will appreciate the local events that Force-E regularly hosts, like Blue Heron Bridge dive nights and other local diving excursions. Force-E takes participants on any one of 10 boat dive destinations, two shore dive sites, and two snorkeling sites for divers at a range of skill levels. Savor Our City Culinary Tours take place in a curated group of walkable neighborhoods. These walking tours help visitors explore the diverse culinary offerings of Boca Raton. Restaurant chefs, mixologists, farmers, and artisans share their knowledge of local, sustainable foods. Tour guests also learn about the cultural and culinary backgrounds of the food tastings along the way. There are five to seven tasting stops on each tour. Visitors can choose from themed tours like the Yoga and Healthy Foodie Tour or the Maine Craft Brew Tour. 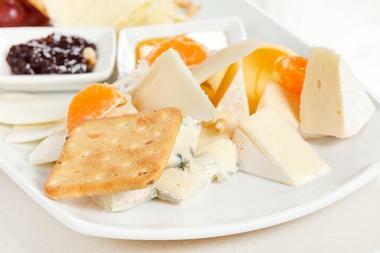 Two of the most popular tours are Savor Downtown Boca and Taste Atlantic Avenue. Boca Raton Helicopters believes new experiences can bring people joy and contentment, and they are committed to helping visitors do just that. They offer seven helicopter experiences that are bound to please just about everyone – the Adventure Tour, Premium Tour, Luxury Tour (sunset), VIP Tour, Ultimate Tour, and Romantic Night for 2 Tour, which combines the Luxury Tour with a tour of South Florida’s beaches, a bottle of champagne, dinner, and a movie. 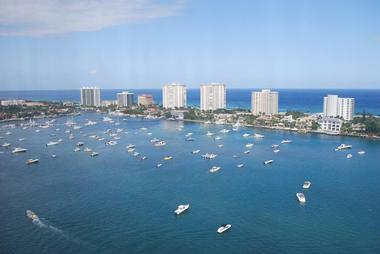 The Sky’s the Limit Tour takes guests to Palm Beach, the Everglades, Fort Lauderdale, and South Florida beaches. One child under 12 is free with two paying adults. 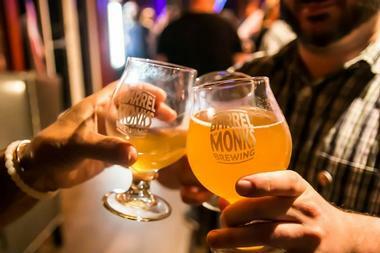 Barrel of Monks Brewery was the brainchild of four friends who set out to create a premier brewery with Belgian-style beer. Guests will be able to taste a variety of Belgium beers in the tasting room from 2017 Father Christmas, a holiday spiced Belgian dark ale, to Endless Enigma, a Belgian pale ale. Brewery tours are available on Tuesday nights and Saturday and Sunday afternoons and are about 20 to 30 minutes long. Guests will learn all about the brewing process, the Belgian brewing tradition, and the modern brewing techniques that together make great beer. Visitors can also get Barrel of Monks Brewery gear at the Monk Shop. Talk about a party on wheels. BikeCrÜz is a touring social experience where patrons move the pedal-powered pub crawler through the streets of Boca Raton on an exploration of the city. It’s a fresh alternative to sitting stationary in a dimly lit bar. This is a great way to get an overview of the bar and restaurant options in the city. Owners suggest a minimum of six riders to make sure pedaling isn’t so difficult that it affects the fun factor. Each party cruiser can hold up to 14 pedaling passengers. CrÜzers are equipped with sound systems and Bluetooth, so riders can bring their own playlist along and plug it into the system. 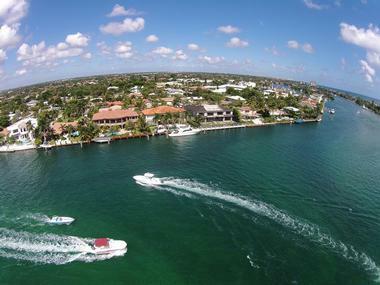 Boca Boat Adventures is not just any boat tour. Their TOP KAT boat is 27 feet long and is powered by twin outboard motors. This Leisure Cat model boat is made for open-air boating, offering guests a smooth ride in comfortable seating. Although the boat can accommodate up to 12 guests, the captain limits tours to six guests to maximize riders’ comfort. A premium iPod stereo system is perfect for allowing guests to personalize the experience with their own music. Boaters can choose from three private tours. Boca’s Mansions and Parks is 1 hour and 15 minutes, the Intracoastal Tour is 1 hour and 40 minutes, and the Sunsetter Tour is 2 hours. 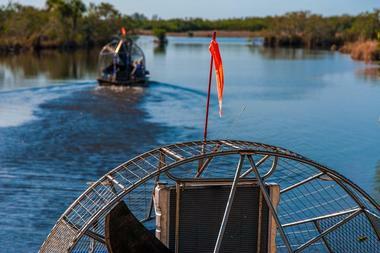 Florida Airboating provides travelers with custom exploration of the Florida Everglades via private airboat. The Everglades is actually a slow-flowing river, in fact, the slowest in the world, and visitors riding atop the 100-mile-long river of grass on a high-speed airboat will get their thrills and have a fun time doing it. 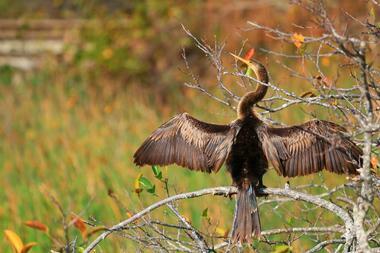 Knowledgeable guides share facts about the history of the Everglades and its flora and fauna. Riders will see alligators, herons, and other birds, mammals, and reptiles up close and learn about their habitat. Florida Airboating is a fun family experience, and the daring can even take the tour at night on a photographic safari.